Level Bid Ring Championship Event! Doors will open to the public @ 12:00 pm. Coaches usually have access to Registration 1-hour prior to the doors opening to the public, an email will be sent to the Coaches confirming their Check-in times. No, ATM on-site. CASH Only at the door. 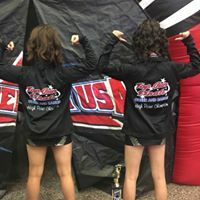 This is a unique, affordable, End-of-Season event offered to Cheer and Dance Teams, where your registration fees are based on your placement at qualifying BID events throughout the season. The higher you place, the lower your registration fees are! Click the links below for information on The Top Gun Finals Championship. (*High Point Champion Jackets / *Champion Rings / *Champion Banner / *Placement Awards 1st-3rd / * Medallions). What type of Bids can I earn? **Crossovers pay highest BID Fee received per team. *A $150 Non-Refundable fee is due per registered team, no matter what Bid the team receives. *It is best to register as soon as you know that you are attending the Top Gun Finals. The Registration Deadline is February 28, 2019. Registrations received after the deadline will incur a $15 Late Fee! 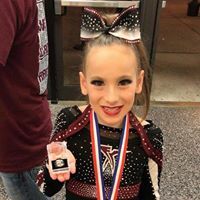 **All Registration must be registered ON-LINE 30 days prior to the Texas Open State National Championship you are attending to avoid the $15 additional Late Fee! *New, Senior Citizens Age & Kids (6-10) Fee.